My daughter and I made these DIY Suncatcher’s into keychains, but they also work great hanging in a window, or as zipper pulls. They are absolutely stunning when the sun strikes them, sending little shards of rainbows throughout the space. 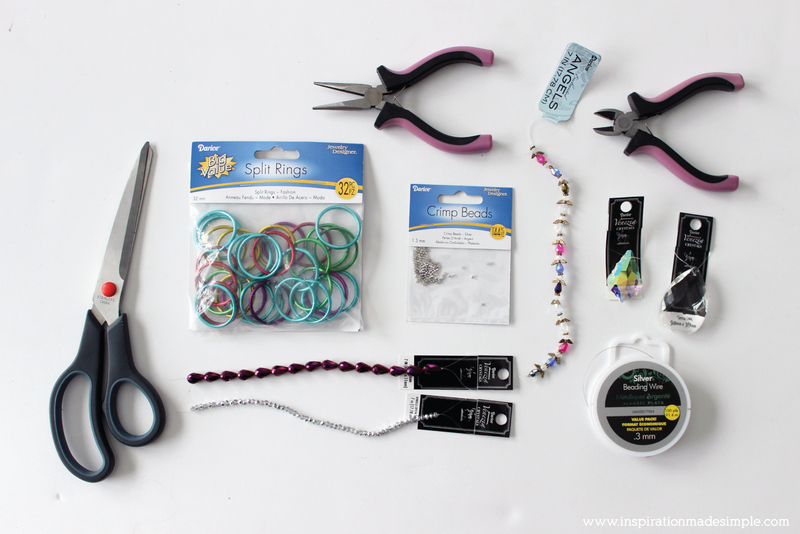 These DIY Suncatcher Keychains can be customized in so many ways by choosing different materials to work with, from fun colored beads, to crystals and more. I had originally only planned on making one, but my 7 year old sat down with me and enjoyed making the first one so much that she decided that her sister, her Memere and her aunt also needed one, so we went on to make several more. Read on to see how simple these are to make. Gather the supplies and follow along! Supplies: Contains affiliate links for your convenience. 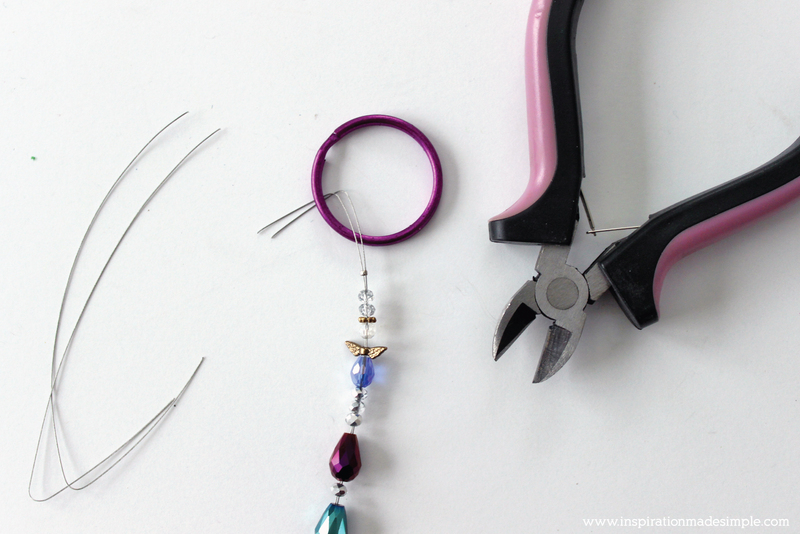 Decide on the beads that you plan to use and layout the pattern. Cut a length of wire – mine was approximately 12″. 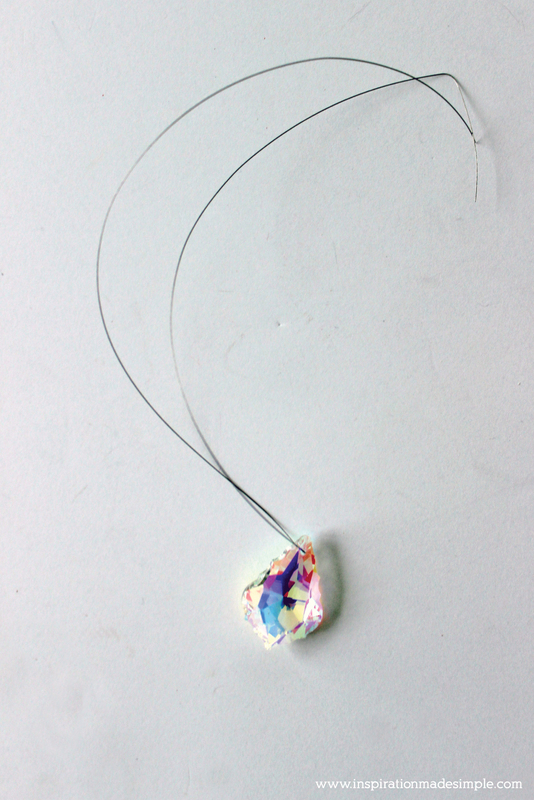 Thread the crystal pendant onto it. Placing it into the middle of the wire. Thread both wires through a crimp bead. 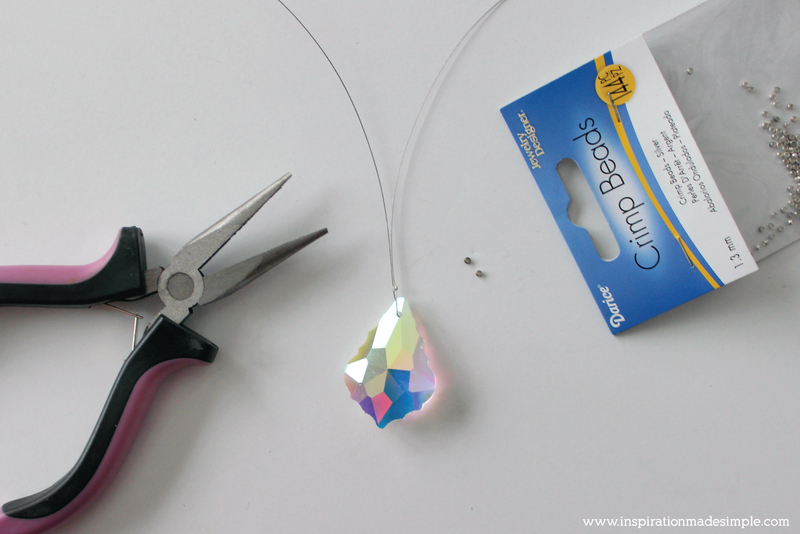 Using the pliers, squeeze the crimp bead tight just above the pendant. 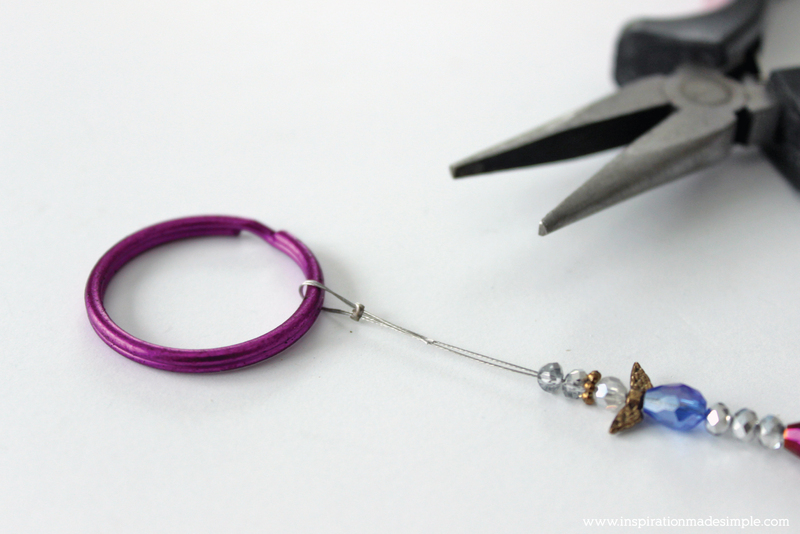 Thread the rest of the beads onto the wire – making sure both wires are threaded through them. 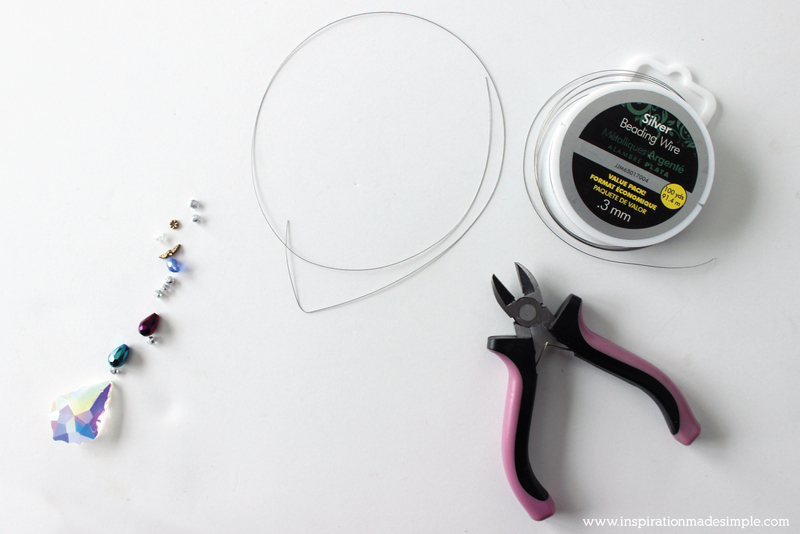 Thread a crimp bead onto both wires – do not tighten it yet! Thread the wires through the split ring, trimming any excess. Make sure to leave about a 1/2″ of length (see image below). Thread the end wires through the crimp bead and tighten. That’s it! 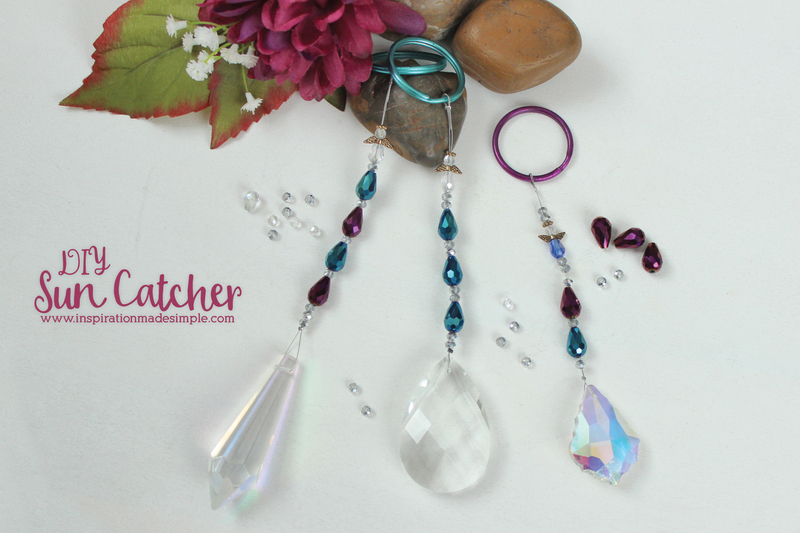 Your stunning DIY Suncatcher Keychain is all done. My daughter really enjoyed working on this project together. I think I’ll gather some more of these supplies to keep on hand as they make great gifts for teachers and friends. 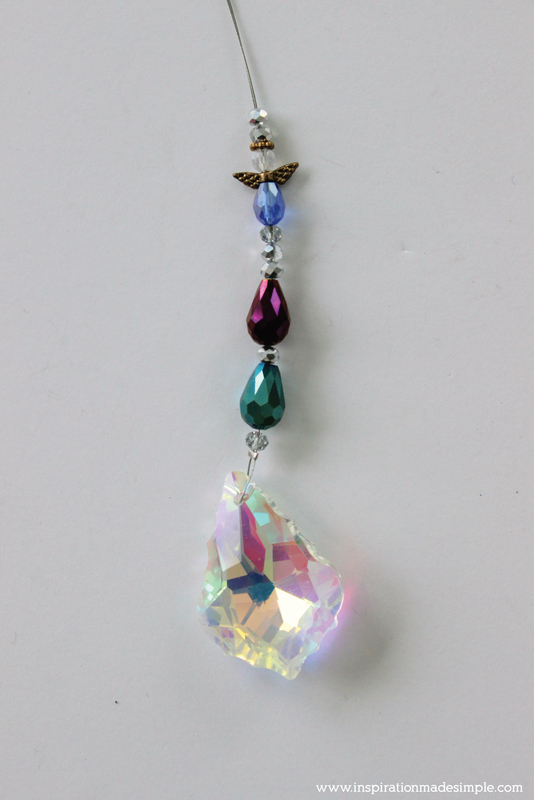 I especially love the little angel beads that we used – it makes me feel like I always have a guardian angel with me! 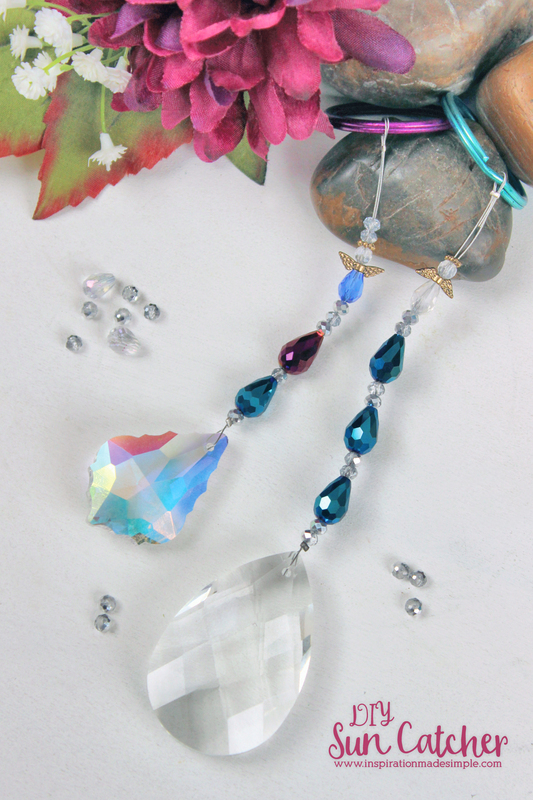 With so many bead and crystal options it is easy to make many of these without any being the same! 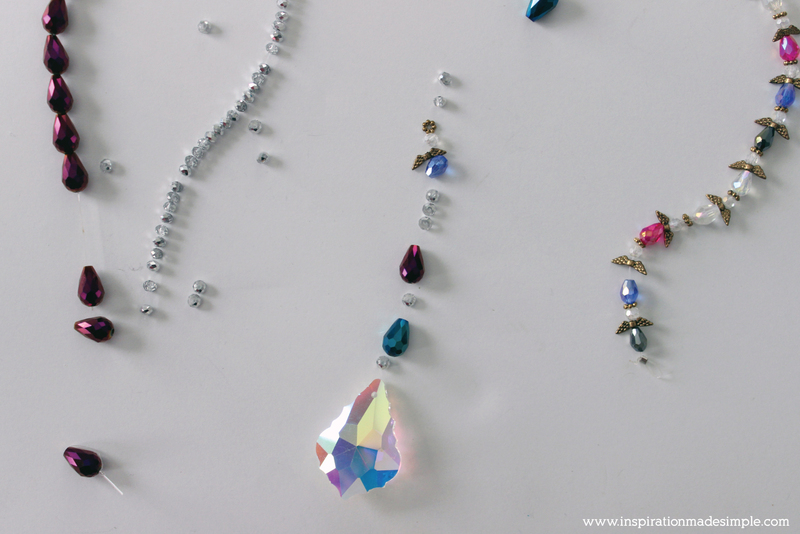 Get creative, have fun and enjoy the beautiful rainbows that these pretty pieces throw off in the sun! This post originally appeared on Live.Craft.Love in February 2017, where I am a contributor.